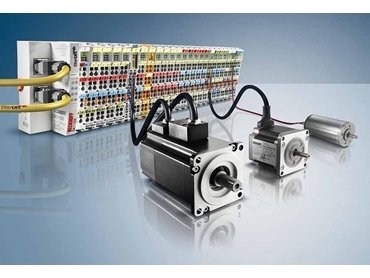 BECKHOFF Automation will present its PC- and EtherCAT-based automation solutions for assembly and handling technology at the Motek 2011 taking place in Stuttgart, Germany in October. The PC based controls from BECKHOFF are modular and finely scalable in performance, covering all requirements for the control and monitoring of the entire process chain of individual processing machines as well as complete production lines. One of the main features of this year’s trade fair presentation is the extension of the compact drive technology. Offering an alternative to conventional drive solutions that are frequently oversized and inefficient in terms of energy consumption and cost, Beckhoff’s drive solutions focus on modularity, scalable performance and compact designs. The EtherCAT servo drives from the AX5000 series designed for the middle and high performance classes are supplemented by drive solutions in the I/O systems with IP 20 and IP 67 protection. The connections in the format of Bus Terminals (IP 20) support AC and DC motors, stepper motors and servomotors. The IP 67 EtherCAT box modules for stepper and DC motors are available for use without control cabinets. Integration into the I/O system simplifies cabling and commissioning considerably while simultaneously reducing space requirements and costs. Stepper motors are inexpensive drive solutions ideal for positioning and auxiliary axes. Together with the appropriate I/O module, the stepper motors from the AS1000 series provide a complete solution in the performance range up to 5 A. The EL7201 servomotor terminal for the EtherCAT terminal system is designed for highly dynamic positioning tasks. Integrating a full servo drive including an encoder system into a 12mm terminal, the EL7201 is suitable for the direct connection of servomotors up to 200 W.
Combination with the servomotors from the AM3100 series enables the implementation of an inexpensive servo axis. Due to the high torque and high, stable speed, this drive solution is ideal for pick-and-place applications and for use everywhere in mechanical engineering where high dynamics, compact design and exact positioning are necessary requirements. The complete integration of the drive technology into TwinCAT automation software enables programming and configuration to be carried out conveniently in one tool while simplifying engineering and improving diagnostics.